PSi knows firsthand how hard it can be to get started in business. PSi is a family-owned and operated company, established in 1980. We are constantly improving the ways we help our customers. We are excited to feature our relationship with Marlin Finance. Financing Your Equipment From PSi Has Never Been Easier! We work closely with Marlin to help our customers establish their businesses quickly. Marlin provides credit programs to small businesses nationwide and has a philosophy of helping people that aligns well with PSi’s value for customer service. What are the benefits of financing your equipment? Many aspiring independent business owners delay their pursuit of the American Dream of starting a company due to one common factor—not enough capital to start. If you have been able to scrap and save to buy equipment outright, then once you do that, you might be cash poor until revenue starts coming in. With this 100% financing program, you can establish your business very quickly so you can start earning, without a hefty down payment. If you need to add equipment to your loan, PSi and Marlin allow you to do that at any point throughout the life of the term. 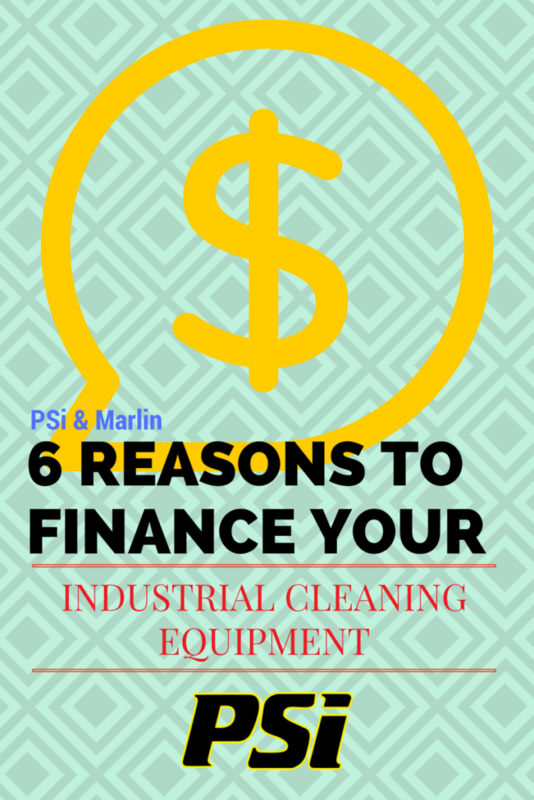 Not only that, you can lease any piece of equipment that PSi sells through Marlin. After completing the finance application, Marlin will have an answer to you in as little as two hours. You can become a business owner in less time than it takes to watch an average major league baseball game. Your monthly payment does not affect your bank or credit lines. Most banks and credit card companies will reduce your existing available credit lines with every purchase via a credit card or loan. Financing makes enhancing current equipment or upgrading to new equipment efficient and available at any time for our customers. You can upgrade your equipment as technology improves and your company’s needs change. Unlike loan payments, lease payments may be deductible. Please consult your tax adviser to determine if your lease payments are deductible. It is possible that your tax benefit is greater than your lease payments. Don’t delay! Complete the finance application available here on PSi’s website.